You can also contact Cheryl or Mariah at hygiene@michiganperio.com or at 734-981-7477. Cheryl graduated from the University of Michigan with a Bachelor's Degree in Dental Hygiene. Shortly after graduation, she joined our practice. 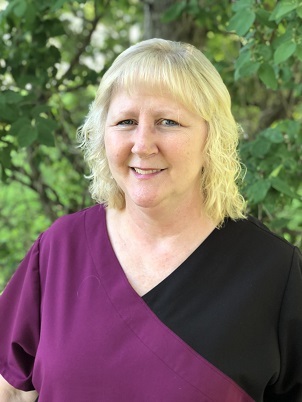 She has been caring for our patients for over 20 years. 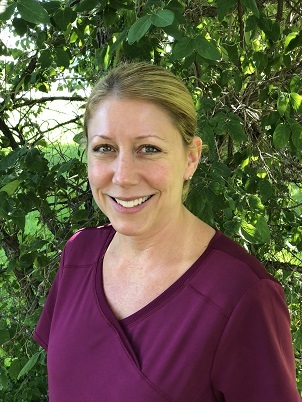 Cheryl likes helping our patients improve their overall health through dental education and periodontal therapy. When she's not in the office, she's busy with her children doing sports and being active in the Scouts. Cheryl's passion is playing volleyball, even though she also enjoys bowling, bike riding and jet skiing too! Mariah received her Associate's Degree in Dental Hygiene at Kellogg Community College and completed her Bachelor's Degree at the University of Michigan. She has been a member of our team since 1998. When she's not caring for our patients, she enjoys riding her motorcycle, boating and spending time with her family and her dog, Gunner.